As the technology has improved for unmanned aerial drones over the past several years, they have become more popular with, and accessible to, the general public. With this growth has come the need for regulation, both for operation of the small aircraft as well as for the privacy issues that they bring. 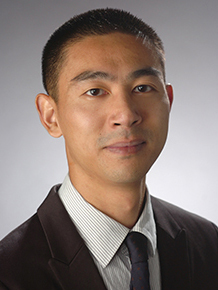 Wang will discuss his research at a workshop held by the Federal Trade Commission (FTC) in Washington, D.C., on Thursday, Oct. 13. The event will also include two panel discussions exploring whether drones raise unique privacy concerns and how to address those concerns. In addition to Wang’s talk, the workshop will feature panel discussions with the following participants: the Electronic Privacy Information Center, the University of Washington, AirMap, DJI, the Drone Manufacturers Association, the Electronic Frontier Foundation, Precision Hawk, AUVSI, the Small UAV Coalition, the City Drone Project and Ohio State University. A full schedule and other details on the forum can be found on the workshop’s webpage. The workshop is free and open to the public and will be available via webcast.